Once you have an appointment, use the mapping function and form below to get exact driving directions. Coming from either Hwy. 59 or Loop 610 West, our office suite is easy to find. 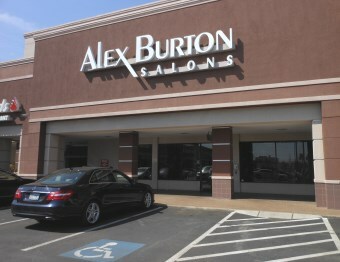 Our salon is situated inside the Alex Burton Salons between Potomac Dr. and Briar Ridge Dr. -- about 1.6 miles west of the Galleria Mall. We always have plenty of free parking space. If you arrive early for your appointment, there are several cafes here in the Briargrove Shopping Center where you can spend some moments until Elaina welcomes you to the salon. 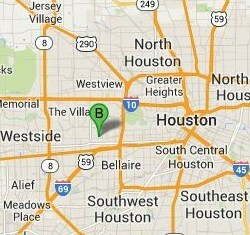 Access a detailed, interactive map of our WaxWorks salon location by clicking the display map for Houston, TX. Also obtain instant, printable driving directions by entering your street address in the provided form. Sorry, walk-ins are not accepted - you must book an appointment in advance. Phone or text our number (281-509-0878) to request a waxing session. For your convenience, our waxing studio is open Tuesday - Saturday, by appointment.